I recently made a purchase of a table on Ebay and the advertisement for the item stated ‘picture does not do it justice’. After winning the bid and having had someone pick it up, I discovered it has a hole drilled at the top of the table and is damaged and broken behind. This certainly brought new meaning to the word ‘picture does not do it justice’. In Ebay there is a 60 day time limit on sorting things out before giving bad feedback. After contacting the seller and after much reflection I gave it negative feedback. 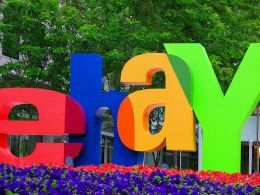 In Ebay there are three different forms of feedback we can give; Positive, Neutral and Negative. It is interesting as to how easy it is to give positive feedback but negative feedback is sometimes very difficult to give. At times I have avoided giving a negative feedback even though it may be well deserved. It seems a common thing to avoid giving negative feedback.